Yes that's right I, Mary Kathleen Westhoff, ran six miles today. Well, it was nice knowin ya. Can I have your stuff? Well, it's official. 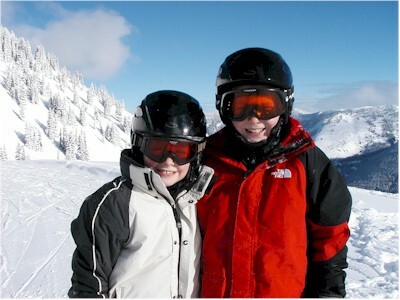 My skiing lessons begin on Tuesday! Congrats on getting in to law school Dan!!! You rock!!!! Dad finally showed me how to post picutes. Look forward to more. Lately Emma has become a big fan of Rosemary Wells’ Max & Ruby. For those of you not familiar with the books or television show, Ruby and Max are bunnies. In Emma’s current favorite, “Ruby’s Beauty Shop,” Ruby's friend Louise comes over to play, and she brings her “Deluxe Beauty Kit.” Their first customer of course is little brother Max, who they proceed to make “gorgeous.” Knowing Emma, we can’t help but see in these books hints of what life will be like for Luke (i.e. Max) in a year or two. 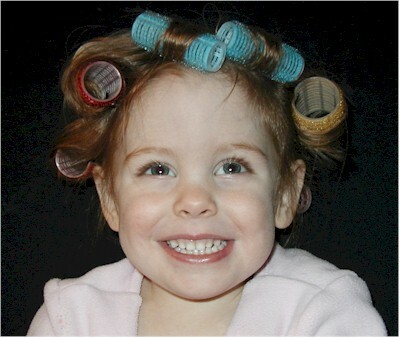 This photo was taken this morning after Rachel was able to get Emma to cooperate with curlers by telling her that they were going to play with “Mommy’s Deluxe Beauty Kit.” Emma loved it. I took Chase skiing today, just the two of us. 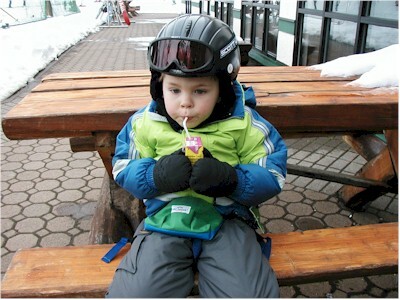 Learning to ski is hard work, so we had to take lots of snack breaks; here Chase enjoys a "juice box." Continue reading Chase: Newbie Skiier. 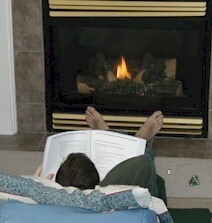 Our Bishop cancelled church services today on account of the snow so John settled in for some cozy Board Review in front of the fire. Continue reading Snowed in on Sunday. In keeping with the snowy theme of recent posts, here are a few pictures from when Dunn and Zach and I went skiing on my birthday. It was C-O-L-D, probably the coldest day I've been out in years. Continue reading Back on the Slopes. 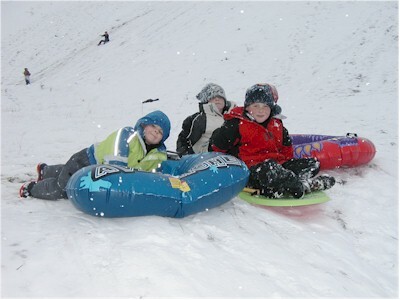 The combination of a freak snowstorm and Dad off work made for a great day of sledding yesterday! We finally got to use Grandma's Christmas present from last year as we have been blessed with snow all week. The boys had a blast on our snowy walk. We spent this Christmas in Gallup at the Grandparents' house. Harker and Hyrum had a blast playing with their cousins and taking Grandma's house apart. The gifts were great too! Continue reading Christmas in Gallup 2003.